Jurgen Klopp hopes the scrutiny over Mohamed Salah’s form will stop after he became the fastest Liverpool player to reach 50 goals. The Egyptian scored twice in the 4-0 Champions League victory over Red Star Belgrade at Anfield to make it to his half century in only 65 games. The brace took Salah’s tally for the season to six, with three in his last two games, and there are signs that he is starting to find, if not yet his sensational form of last season, then something not too far away. Klopp has repeatedly stressed he has not been concerned about Salah’s performances, and said of the milestone: “I think he would say thanks to his team-mates because it’s quite difficult to score goals without these wonderful passes, crosses. “Like tonight, I have to watch it back but I think the first goal he scored was just a genius little link-up play of Shaq, I don’t know how he did that. “It’s good that we maybe can stop talking about that. That helps a little bit because I’m not in doubt, he was not in doubt, but if you are constantly asked about it then it’s like, something obviously is wrong. “You should not constantly think about it. It only happens if you work hard, if you are in the right space, if your team-mates see you in the right moments and if you make the right runs then you can score. It was a good evening for all Liverpool’s front trio, with Roberto Firmino opening the scoring, Salah adding a second just before half-time and then netting from the penalty spot early in the second half, before Sadio Mane made amends for missing a second spot-kick with the fourth. 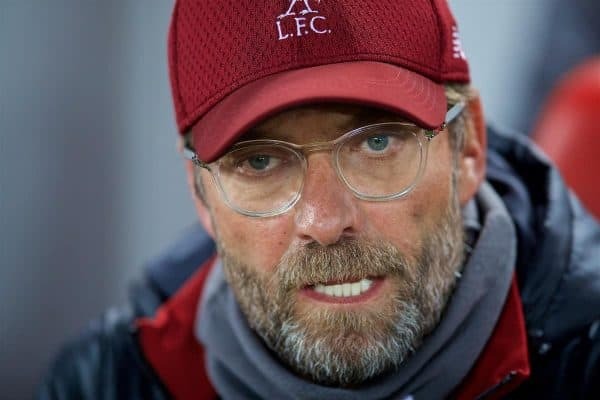 The result put Liverpool on top of Group C after the other game ended in a 2-2 draw between Paris St Germain and Napoli, but Klopp will know two wins against Red Star are a minimum requirement if the Reds are to qualify. He said: “It was just a good football game and they could finish the situations because we had the right movement in the right moment, we had the right passes, we had the right formation. “You cannot win a game 4-0 if most of the things are not really good and tonight most of the things were really good. “This group obviously stays exciting until the end, that was I thought pretty clear immediately after the draw, but you cannot do more than win your own games, and then the situation changes in your favour. 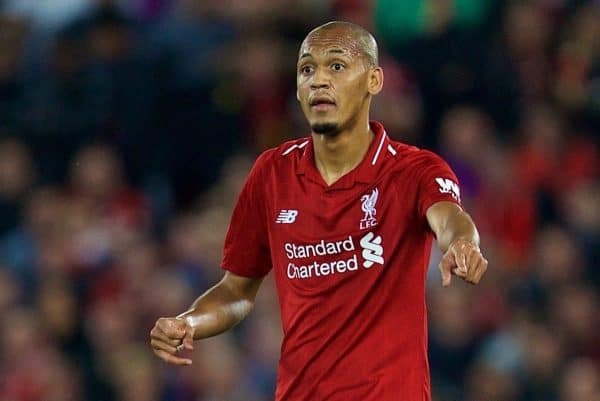 Klopp, meanwhile, praised the display of Brazilian midfielder Fabinho, who turned 25 on Tuesday and made only his second start for the club following his summer move from Monaco. “Very, very good,” said the German. “The present for his birthday was not that he was in the lineup, it was that we played his favourite system and it was really good.